Illinois appears to follow guidelines for enrolling individuals into the state’s Affordable Care Act’s (ACA) pre-existing condition insurance plan, but Illinois’ interpretation of the ACA’s wording may be questioned. In its interpretation, Illinois does not allow enrollment if a person has insurance coverage even though it excludes pre-existing conditions. A denial letter from an insurance company licensed in your state for individual insurance coverage (not health insurance offered through a job) that is dated within the past 6 months. Or, you may provide a letter dated in the past 6 months from an insurance agent or broker licensed in your state that shows you aren’t eligible for individual insurance coverage from one or more insurance companies because of your medical condition. An offer of coverage from an insurance company licensed in your state for individual insurance coverage (not health insurance offered through a job) that is dated within the past 6 months. This offer of coverage has a rider that says your medical condition won’t be covered. It is not logical that if a state runs the program, it can exclude people, while if the federal government runs the program, those same people could be included in the plan. This analysis explores in more detail how Illinois and by extension, other states may have come to the conclusion they did and why that may not be the correct interpretation. The IPXP application specifically notes regarding item 2, “that if you currently have insurance coverage that doesn’t cover your medical condition, you are not eligible for IPXP”. This raises the question of how Illinois adopted their meaning of ACA’s wording. Words have consequences and so it is important to determine what the Public Health Service Act (HIPAA) actually said and meant by its use of the phrase “creditable coverage” and did Illinois misinterpret it? HIPAA contains five main components or “Titles”, the first of which is “HEALTH CARE ACCESS, PORTABILITY, AND RENEWABILITY”. That title is divided again into two subtitles, “Group Market” and “Individual Market”. In general, under Individual Market Section 2741(a)(1) health insurers may not decline coverage to or impose any pre-existing condition exclusion on “eligible individuals”. However, Section 2741(a)(2) allows states to implement an “acceptable alternative mechanism”. One acceptable alternative is a state managed high risk pool which Illinois has, so private health insurers in Illinois may deny coverage or include pre-existing exclusions in their policies since an alternative is available. However, the act does not change the definition an “eligible individual” which is one who (a) has 18 or more months of “creditable coverage” and (b) whose most recent prior “creditable coverage” was under a group health plan. HIPAA defines “creditable coverage” in Section 2701(c)(1) to mean with respect to an individual, coverage of the individual under any of the following: a group health plan; health insurance coverage; or… any of 8 other government health insurance plans. 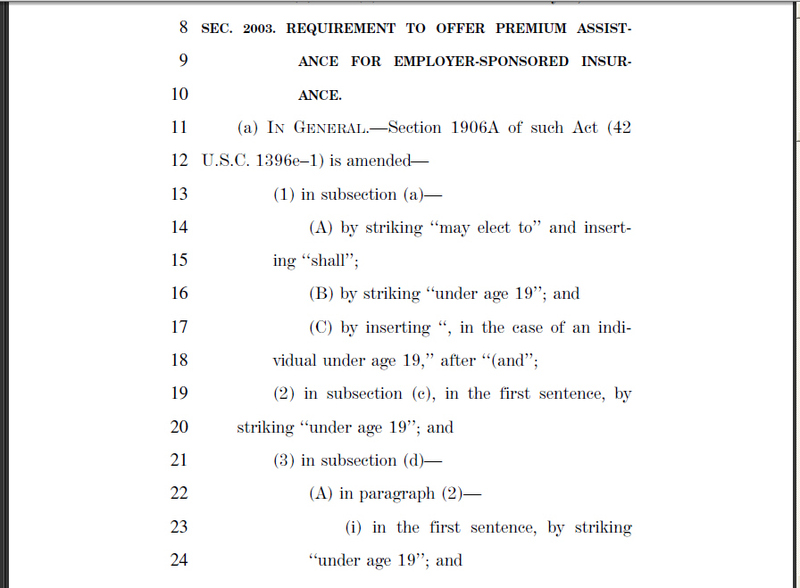 “Such term does not include coverage consisting solely of coverage of excepted benefits (as defined in section 2791(c))”. Creditable coverage refers to coverage in a “group health plan” that also needs definition. A group health plan Sec. 701(a)(1) means an employee benefit plan that provides payment for medical care directly through insurance, reimbursement, or otherwise. In short, what most people think of as basic group health insurance. Creditable coverage also introduces another concept – “excepted benefits”. Including this definition allows a contrast to group health plans that provide creditable coverage. Given the number of excepted benefits, of which only a sample is shown below, it is clear that HIPAA intended only a few basic types of basic health benefits to be considered creditable coverage. Limited scope dental or vision benefits. Benefits for long-term care, nursing home care, home health care, community-based care, or any combination thereof. Coverage only for a specified disease or illness. 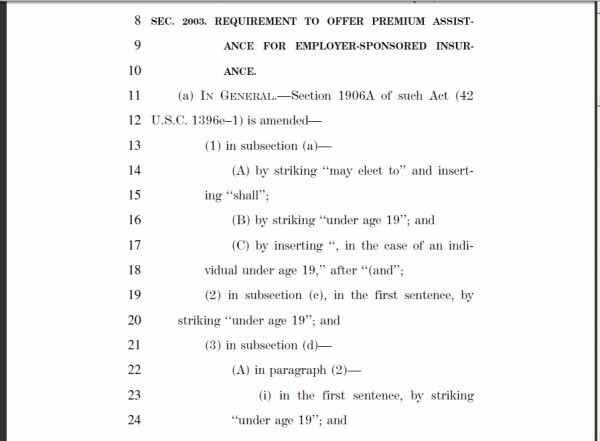 Section 2791 (b) (5) states: The term ‘individual health insurance coverage’ means health insurance coverage offered to individuals in the individual market, but does not include short-term limited duration insurance. Oops. This means that HIPAA considers one of the more common forms of individual health insurance not to be insurance at all. Recall from the beginning of this essay, the IPXP application form specifically states “that if you currently have insurance coverage that doesn’t cover your medical condition, you are not eligible for IPXP”. This requirement is NOT one of the ACA requirements. And ACA in turn, references HIPAA that pointedly declares “short-term limited duration insurance” does NOT constitute insurance coverage at all. Conclusion: Illinois may have incorrectly defined short-term limited duration insurance as health insurance which definition specifically contradicts HIPAA definition. It is clear that both the intention as well as the wording of the ACA and HIPAA acts allow persons who once had but were later denied health coverage or who have coverage but with pre-existing exclusions, to apply for and receive coverage under the ACA pre-existing condition insurance plans. Allegedly, enrollment in state ACA pre-existing condition insurance plans has been running behind projections. Is it possible states are restricting enrollment in a manner similar to Illinois? It is something worth investigating further. Disclaimer: While having extensive years of legal experience demonstrated in this analysis, the author is not a licensed attorney. What has not been verified is whether later amendments to the HIPAA changed any of the provisions mentioned above.